I love movies. They entertain and educate – the truly great ones communicate universal truths as only real art can. 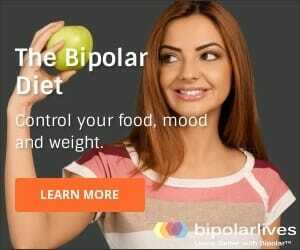 As a person with bipolar disorder, I want movies depicting bipolar to reflect back to me some of my own experience, as well as teaching me stuff I don’t yet know, and to connect with me emotionally. The following movies are my picks that satisfy this criteria. 3. Fictional movies about bipolar disorder. These three movies about bipolar disorder are based on real people, but feature fictional components and some creative interpretation. Stars: Kirk Douglas, Anthony Quinn, Director: Vincente Minnelli. Rating: 4.5/5 on Amazon, 7.2/10 on the IMDb movie database, and 100% on Rotten Tomatoes. This makes it the most critically acclaimed of all our movies about bipolar disorder. Plot: Biography about artist Vincent Van Gogh, highlighting his passion for life and knowledge, his artistic genius, and his manic depression. Based on the novel by Irving Stone. Kirk Douglas, in the best performance of his career, uses his whole body to act out the role of Vincent Van Gogh as the archetypical tortured artistic genius. Anthony Quinn won the Academy Award for Best Actor in a Supporting Role as fellow painter Paul Gauguin. Kirk Douglas was nominated and would have won Best Actor, but was pipped at the post by Yul Byrnner in the King and I. Movies about bipolar disorder, no matter how good, are rarely a match for popular blockbuster musicals. Douglas did win the Golden Globe and New York Film Critics Best Actor Awards. Summary: Many of the locations used for filming were the actual locations Vincent van Gogh visited in his life. 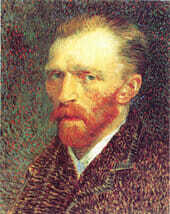 Much of the script uses Van Gogh’s own words, drawn from his letters to his brother Theo. The art direction is fantastic – an outmoded color film process was used by Director Minnelli to capture the power of the paintings, and to recreate important locations such as Vincent’s famous yellow bedroom. This is an excellent movie that everyone should see. It is true that the style is lurid, melodramatic and larger than life, but so was Van Gogh, who spent much of his life in full blown mania. Availability: New from Amazon for $17.99 or used from Amazon from $6.21. Also shows up on eBay for anything from around $5-$14 for VHS and DVD, both used and new. Readily available for rental through Netflix. Stars: Jessica Lange, Sam Shepard, and Kim Stanley, Director: Graeme Clifford. Rating: 4.5/5 on Amazon, 7.3/10 on the IMDb movie database, and 92% (“fresh) on Rotten Tomatoes. This makes it another of the rare movies about bipolar disorder to be a hit with both critics and the public. Plot: Jesica Lange plays 1930’s Hollywood star Frances Farmer – talented, troubled, passionate and outspoken. Farmer’s impulsive behavior and ruthless honesty create too many scandals for the studio system of the day to cope with. Farmer was politically active, and abused alcohol and pills. She ends up being committed to an insane asylum and the ensuing scenes are horrifying and brutal, so don’t watch this movie if you want relaxing entertainment. Availability: New from Amazon for $9.98 or used from Amazon from $4.96. Also shows up on eBay for anything from around $7-$10 for a new DVD, but watch out for region codes as foreign DVDs, for example from Australia, will not play in the US. Readily available for rental through Netflix. Stars: Tommy Lee Jones and Robert Wuhl, Director: Ron Shelton. Rating: 4.5/5 on Amazon and 63% (“fresh”) on Rotten Tomatoes. Plot: Based on a true story, Robert Wuhl plays sportswriter Al Stump who is hired to write an authorized “autobiography” of Cobb. After spending time with Cobb, Stump is torn between writing the book that Cobb wants and writing the truth. Cobb (Tommy Lee Jones) is angry, violent, racist, misogynistic, and abusive to everyone around him. Torn between printing the truth and succumbing to Cobb’s pressure for a whitewash of his character and a simple baseball tale of his greatness, Stump writes two different books. One book is for Cobb, the other for the public. Summary: Ty Cobb was called “the greatest baseball player of all time” but this is not a baseball movie. It is a great bio-pic about manic depression that shows one of the different faces of mania. Cobb’s mania manifested in his rage and aggression and Tommy Lee Jones captures all his viciousness. Cobb was on lithium the last years of his life – if you watch this movie you may feel he needed a higher dose! Enjoyable for sports fans, fans of movies about bipolar disorder, or anyone who wants to see great character acting. Availability: New from Amazon for $17.99 or used from Amazon from $14.23. Also shows up on eBay for anything from around $12-$15 for a new DVD. Readily available for rental through Netflix. Stars: Patty Duke, Timothy Carhart, Millie Perkins and Matthew Perry, Director: Gilbert Cates. Rating: 6.8/10 on the IMDb movie database. Plot: Patty Duke brilliantly portrays herself in this autobiographical film that details her long-time struggle with manic depression. It is based on her bipolar autobiography of the same name. Summary: In some ways one of the quintessential movies about bipolar disorder as it is based on such a candid and accurate autobiography. Deals with all Patty Duke’s symptoms, her long and tortured path to diagnosis, and her inspiring recovery once she begins treatment and receives appropriate medication (lithium). Availability: As this is one of the made for TV movies about bipolar disorder, it is not available through Amazon, eBay or Netflix. Directed, written and produced by Jonathan Berman. Plot: When filmmaker Jonathan Berman was growing up in Long Island, his best friend Paul was always the star of Berman’s Super 8 films, playing the ninja, the mobster, the dangerous underdog going down in a hail of bullets. When everyone was wearing bell-bottoms and smoking pot in their parent’s rec room, Paul was doing hard drugs and losing his virginity to a Manhattan prostitute. Twenty years later, the ’70s long since over, Jonathan is a filmmaker in New York and Paul is finishing his sentence after serving time for eleven bank robberies. This is Berman’s moving account of their troubled reunion. Summary: One gets the impression that Berman didn’t initially realize he was about to make one of the great movies about bipolar disorder. His initial reaction is “Mt best friend robs banks – cool!” Needing a project he begins filming, but soon this becomes a doco on bipolar disorder and Berman struggles to make Paul get the help he needs. Availability: This is one of all too few indie movies about bipolar disorder and is not available through eBay or Netflix. It sometimes turns up on Amazon. All I can say is if you ever get the chance to see it, grab it as this is a rare jewel. Rating: 6.5/10 on the IMDb movie database. Stars: Margot Kidder, John Heard, Chistopher Reeve and Richard Donner, Director: Lee Grant. Plot: A Lifetime doco about Margot Kidder, in the format of an in-depth interview with Kidder. Her “flip-out” became a major news story in 1996, when she was found living on the streets, delusional and with her hair hacked off. Kidder went into psychiatric care and she slowly recovered through traditional therapies as well as acupuncture and meditation to keep her manic-depression in check. Availability: This is another of the made for TV movies about bipolar disorder and I could not find it on eBay or Netflix. It is available through Amazon, new and used on VHS from $39.94. Stars: Daniel Johnston, Matt Groening, Freddie Mercury and Thurston Moore, Director: Jeff Feuerzeig. Rating: 4.5/5 on Amazon, 8/10 on the IMDb movie database, and 87% (“fresh”) on Rotten Tomatoes. Plot: Daniel Johnston is a manic-depressive genius singer/songwriter/artist, revealed in this portrait of madness, creativity and love. The Devil and Daniel Johnston is a stunning portrait of a musical and artistic genius who nearly slipped away. Director Jeff Feurzeig exquisitely depicts a perfect example of brilliance and madness going hand in hand with subject Daniel Johnston. As an artist suffering from manic depression with delusions of grandeur, Daniel Johnston’s wild fluctuations, numerous downward spirals, and periodic respites are exposed in this deeply moving documentary. Summary: Possibly the most complex of all the movies about bipolar disorder reviewed here. This movie is hilarious, moving, riveting and inspiring, regardless of what you may think of Daniel’s music or art. Don’t be put off by negative reviews that slam Daniel’s creative talent – watch this as one of the great documentaries on mental illness and family support. Availability: New from Amazon for $17.99 or used from Amazon from $4.68. Also shows up on eBay on for around $12-$19 for a new DVD – just make sure to check for the correct region code. Readily available for rental through Netflix. 1. A Fine Madness (1966) Stars: Sean Connery, Joanne Woodward, Director: Irvin Kershner. Rating: 3.5/5 on Amazon, 6/10 on the IMDb movie database, and one negative and one positive review on Rotten Tomatoes. Plot: Genius, poet and carpet cleaner Samson Shillitoe (Sean Connery) has writer’s block and is behind in his alimony payments to his ex-wife. Samson and his new lover (Joanne Woodward) plunge into a series of daffy disasters from which he still comes up smiling. That is, until he dallies with the lovely wife of a scheming psychiatrist, who seeks revenge by prescribing “brain surgery.” Samson ends up begin pursued by various women while trying to evade the subpoena servers, the lobotomy, and finish his poem. Summary: A very 1960s movie that portrays a manic depressive poet in a way that sheds light on common understandings and pop culture cliches about “madness”. Sean Connery’s performance highlights bipolar hypersexuality and anger and aggression. Note that this movie was made before lithium made its 1970s comeback in the US and so the treatment suggested is a lobotomy. Availability: New from Amazon for $17.99 or used from Amazon from $9.98. Also shows up on eBay for anything from around $9-$25. Readily available for rental through Netflix. 2. Mr Jones (1993) Stars: Richard Gere, Lena Olin, Anne Bancroft, Bill Pullman, Director: Mike Figgis. Rating: 4/5 on Amazon, 5.5/10 on the IMDb movie database, and 44% (“that is, rotten”) on Rotten Tomatoes. Plot: Mr. Jones (Richard Gere) plays a bipolar man whose episodes of euphoria sometimes find him dancing on a two-by-four far above the street or climbing onstage during a symphony performance to “conduct” the orchestra. When the pendulum swings the other way, he is practically catatonic. We see both his periods of intense emotional pleasure and expansiveness, and also his periods of suicidal depression. Libbie (Lena Olin), a doctor at a psychiatric hospital, takes an interest in his condition, and also in him–after all, he’s intelligent, perceptive, and charming. Mr. Jones likes her, also, and puts enough trust in her to allow himself to be treated. But the longer he spends at the hospital, the more he misses the soaring highs that are a part of the man he considers himself to be. Summary: Consensus is that Gere does a great job of portraying the grandiosity, expansiveness and also the crashes inherent in manic depression. Criticisms are that the introduction of a doctor/patient romance is pure Hollywood, and that not enough attention is given to treatment options. Overall a very good movie – the fact that it is so much more popular amongst real bipolar viewers than professional critics is rather telling. Availability: New from Amazon for $9.99 or used from Amazon from $5.28. Also shows up on eBay on VHS and DVD for anything from around $2-$6. Readily available for rental through Netflix or Amazon for $2.99. Stars: Jessica Lange, Tommy Lee Jones, Chris O’Donnell, Powers Boothe, Carrie Snodgress, Director: Tony Richardson. Rating: 4.5/5 on Amazon, 6.3/10 on the IMDb movie database, and 74% (“fresh”) on Rotten Tomatoes. Plot: In the early 1960s, Hank and Carly Marshall are a military couple whose marriage is under a lot of pressure from Hank’s job stress and Carly’s mood disorder. Hank is the ultimate straight arrow – an Army major at odds with his superiors over the wisdom of nuclear testing. Carly is a free spirit, spiraling into a dangerous depression, after the family’s move from Hawaii to a nowhere base in Alabama. Carly begins an affair with Hank’s superior officer, and Hank is banished to the Nevada desert, only to discover disturbing irregularities in the nuclear testing program there. Very evocative of the ’60s and military life, especially for families. Summary: One of my favorite movies about bipolar disorder. Jessica Lange won both an Oscar and a Golden Globe for her performance. We are never told she is bipolar but can infer it through her wonderful acting. The depression, promiscuity, manic outbursts, vulnerability, and her ultimate devotion to her husband and family are all beautifully conveyed. Availability: New from Amazon for $4-12 or used from Amazon from $2.50. Also shows up on eBay for around $5-$11. Readily available for rental through Netflix. Stars: Drew Barrymore, Joan Allen and Chris O’Donnell, Director: Antonia Bird. Rating: 4/5 on Amazon, 4.8/10 on the IMDb movie database, and 28% (“rotten”) on Rotten Tomatoes. Plot: Chris O’Donnell plays good boy Matt, who is level headed, conformist, and on track for college until he falls for Drew Barrymore’s Casey. Casey is a much more of a free spirit but as the movie develops we see she is more than just eccentric! Against a fast paced backdrop of parental opposition, a run for Mexico, and Casey’s suicide attempts, Matt comes to realize Casey has a serious mental health disorder, and must convince her to return home and seek treatment. $5-$6. Readily available for rental through Netflix and Amazon. You know what I think is missing? A good movie about the discovery of bipolar disorder! Do I have favorites and recommendations? You Bet! 1. Lust for Life: Perfect if you are fascinated by the madness/genius connection in bipolar disorder. 2. Mad Love: Drew at her finest showing both depression and mania. Sure there are other movies about madness and teenage angst, but see the original and the best. Much richer than many expect. 3. Cobb: Ty Cobb was possibly the greatest ball player in history, but this is no baseball movie. It is one of THE MOST insightful movies into bipolar mania ever made! 4. Blue Sky: Brilliant! No explicit mention is made of bipolar disorder, but Jessica Lange’s performance manages to say it all. 5. A Summer in the Cage: Haunting. Evocative. Unique. Throw in the interview and commentary from Kay Redfield Jamison and it amounts to a candid, informative, very special journey. Watch it free on YouTube or Amazon.